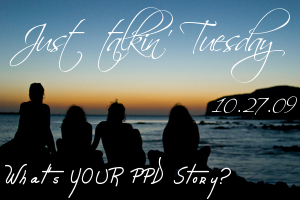 Just Talkin’ Tuesday 10.27.09: What’s YOUR Postpartum Mood Disorder Story? This site was started to help me re-frame an unexpected pregnancy after two rather nasty experiences with Postpartum OCD. Turns out that by doing so I not only helped myself but managed to help a lot of other women along the way. 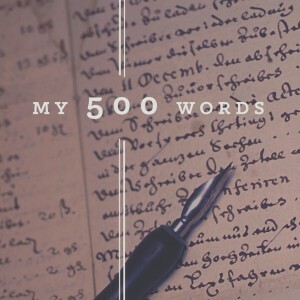 There was a point during my suffering when I dreaded having to retell my story. Looking back I should have just typed the whole thing up and kept copies on hand – kind of like a resume. (Hey – not a bad idea if you end up having to hunt for a decent doctor!) But there came a turning point where my story began to foster a sense of strength and self. Finally I began to bloom. We’re all at different points on our journey. Some of us are right in the thick of it, some of us a bit further out, others are fully recovered, some have relapsed and are struggling right back out thanks to the path we carved out the last time we fell down. But we are all in it together. Rather than retype my entire story here (cuz that would take some time! ), you can click here to read about “The Day” I was admitted to psych ward. And if you’re brave enough (ie, preferably not in the thick of it or relapsed) you can read another piece I’ve written here about some of the thoughts I had when things were so dark I couldn’t even see my hand in front of my face. For me and for many others, telling our story or even venting has become a powerful source of personal therapy. It’s a way to just get some of the stress out of our body, our mind, and even possibly work through issues. So let’s get to just talkin’ here. I want to hear your stories. I want to know what you’ve gone through/are going through. Speak up. We’re here to be supportive, compassionate, and lend our hearts. I can’t wait to read what you have to share! This entry was posted in advocate, Antepartum depression, blogger, Just Talkin Tuesday, Perinatal Mood Disorders, Postpartum Anxiety, Postpartum BiPolar Disorder, postpartum depression, Postpartum Obsessive-Compulsive Disorder, Postpartum Post Traumatic Stress Syndrome, postpartum psychosis, Postpartum Thyroid Disorder, public awareness, sharing the journey and tagged compassion, motherhood, peer sharing, postpartum depression, Postpartum Mood Disorders, share on October 27, 2009 by LHale. Blog Week for Melanie Blocker Stokes MOTHER’S Act starts at midnight! 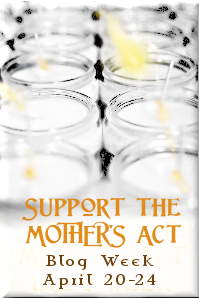 Starting tonight at midnight, you’ll be able to get the low-down on all the details of this week’s blog campaign to show support for the Melanie Blocker Stokes MOTHER’S Act. There will be blogging, twittering, facebooking, myspacing, DIGGing, and whatever other form of social media you’re into. There will be sharing, paying it forward, and strength in numbers as those of us dedicated to supporting new moms in the perinatal period raise our voices in support of this important legislation. Even if you don’t do blogging or social media, call the H.E.L.P. Committee members to let them know you support this legislation. There will be a call script provided at midnight as well. And if you’re in the mood, there will also be a suggested letter to the editor for you to send into your local papers. Let’s make this one for the record books, folks! This entry was posted in advocate, Blog Day, legislation, MOTHER'S ACT, Perinatal Event, Perinatal Mood Disorders, public awareness, Senators, survivor, The MOTHERS Act and tagged advocacy, blogging, call, DIGG, Facebook, H.E.L.P. Committee, legislation, Melanie Blocker Stokes MOTHER'S Act Blog Week, myspace, share, twitter, write on April 19, 2009 by LHale. Smiled or laughed today? Tell us! Has something made you smile or laugh today? This entry was posted in postpartum depression and tagged laughter, laughter as medicine, share on February 11, 2009 by LHale.